Just in time for Fall. Comfort food that surely brings out childhood memories; just like your Yaya (grandmother) used to make. Pastítsio (pa-STEE-tsee-oh) is the Greek version of a Mediterranean lasagna-style pasta pie; composed of layers of tubular long macaroni, a meat-based sauce (makaronia me kimá) and finished off with an egg-based custard or Mornay sauce (a white sauce, Béchamel, with cheese). 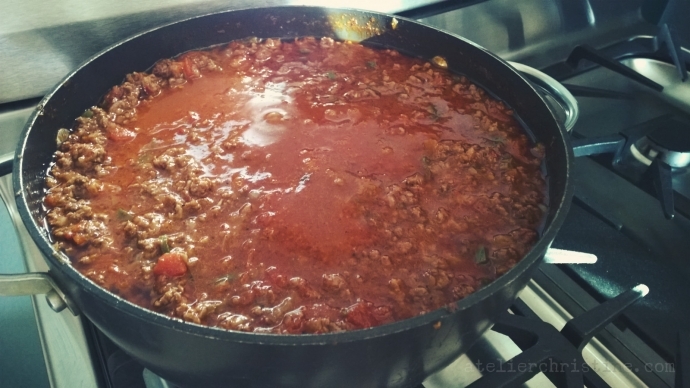 Start by making your meat sauce to give it enough time to cool. There’s no recipe here, pretty much anything goes, but you do need to let it simmer for at least an hour on the stove. Super Bowl Sunday is fast approaching, time to kick-off your party planning with game day treats. Score big with family-friendly dips, snacks, mini bites and finger foods that make the crowd go wild.